Are you having difficulties growing a beard? Growing a beard has reached its all-time popularity, but are you able to grow your own beard? Since the invention of the disposable razor, companies like Gillette and Schick have always enjoyed a robust sales volume. After all, shaving one’s beard is not just a preference, but a necessity to appear clean and sophisticated. Now, sales for razor blades have hit an all new low, and it’s because more and more men are more interested in growing a really manly beard. Any adult male can grow a beard, unless there’s a problem with their hormones. It will take most guys about a month or two to grow a full beard, and while you’re growing your beard, accept the fact that it will itch. Resist the urge to shave your beard, and eventually, the itch will go away in a week or two. It will look really messy at first, but once you’ve grown yourself a nice full-grown base for your beard, styling it up comes easy. A beard isn’t manly if it’s dirty, so make sure that you wash your beard. Use a mild shampoo or conditioner. You don’t really need special products to clean your beard, just use the same shampoo you use on your head and it will work just fine. Remember that since your beard is basically your hair, what happens on your scalp can also happen on your chin. Wash it with shampoo every time you take a shower. Here’s one product that just popped up in the recent years – beard oil. Beard oil makes your beard soft and it keeps your skin on your chin a little bit moisturized. The important function of beard oil is that it keeps your beard flat, not the kind of fuzzy beard where the hair goes everywhere. Even though you’re going for that rugged look, you would still want to maintain some sense of style. 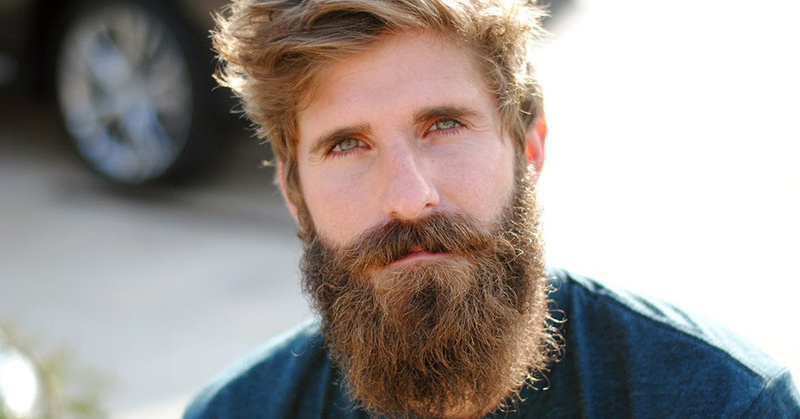 Once you’ve grown a nice base for your beard, you would need to trim and style it. Other barbers offer this service, but if you want to do it on your own, buy yourself a beard trimmer. Use the settings on the beard trimmer to have a sharp, but rugged look. To get you started, try to trim your cheek hairs into a nice fade, and make it a little longer on where a goatee would be. There you have it. If you want to improve the growth rate of your hair, take supplements to improve testosterone, like Xtreme Testosterone, and some Biotin would help too. Testosterone is the hormone responsible for primary male characteristics like broad shoulders, muscle growth, and facial hair, while Biotin is the primary nutrient needed by your body to grow hair. Now junk that razor and go for that really manly beard!